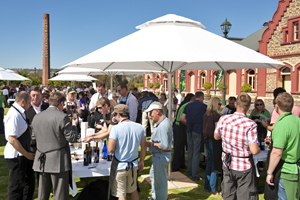 Adelaide and wider South Australia offer some diverse and options for your next event. Here are some examples which you may wish to consider, all of which can be brought to life and facilitated creative South Australian operators. AUSTRALIA’S ONLY WINERY IN A CASTLE! Chateau Tanunda, set in the world famous Barossa wine region is Australia’s only winery in a castle and certainly the only one to offer a cricket pitch and croquet lawns! Options are numerous in this historic building or across it’s beautiful grounds. Gala events could be framed by team wine blending competitions, cooking classes or even charity cricket games complete with guest appearances by professionals. Adelaide Oval is known the world over as an iconic arena where elite athletes display their sporting best and entertainers give unforgettable performances. But every day, at functions and events held throughout the venue, it’s the outstanding food and impeccable service that takes centre stage. 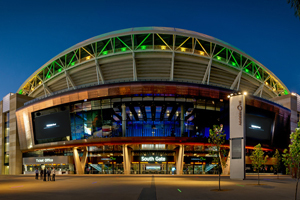 Located a short walk from the CBD and entertainment precinct, Adelaide Oval offers a setting unlike any other and an unforgettable experience that’s sure to impress your delegates. 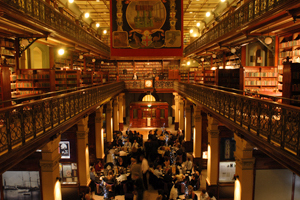 The iconic Mortlock Chamber at the State Library of South Australia is one of Adelaide’s signature locations. A superb example of late Victorian architecture, the spectacular interior embraces two soaring levels. This is a venue with unforgettable impact. For example a long table dinner complete with theming and impactful AV, and diners could be forgiven for thinking they were in a scene straight out of ‘Harry Potter’. Through vibrant initiatives such as ‘Splash Adelaide’, Adelaide City Council has taken the step of activating Adelaide’s laneways and streetscape. Cosmopolitan Leigh Street in Adelaide’s CBD is a cobbled thoroughfare framed by trendy bars, cafes and restaurants. 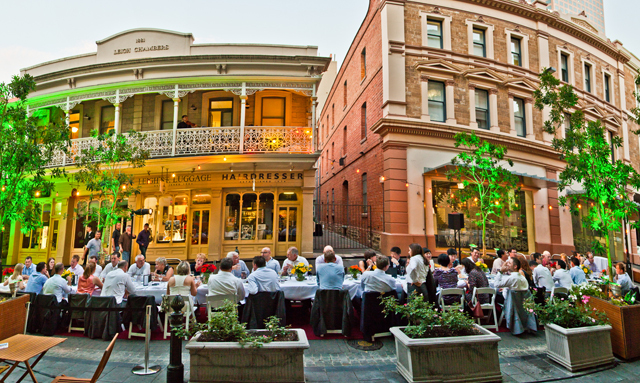 Here working with Team Adelaide, corporate clients looking for a special event with a twist could consider an alfresco long table street dinner complete with live entertainment and outstanding food and wine. With one of the only double story mobile pavilions available for corporate events, the Renniks Group will help take your event to the next level … at a special location of your choice. 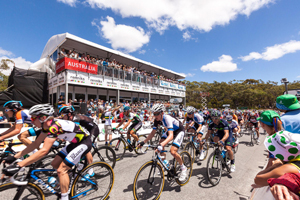 This unique piece of infrastructure has been used to great effect by corporate clients at events such at the Santos Tour Down Under (pictured) and the Clipsal 500 V8 Racing. Professional event management and cutting edge audio visual services could bring your event to light in variety of ways. Take your guests to the heart of wine country in the Barossa, McLaren Vale or Adelaide Hills, or even set up an extravaganza beach side in Glenelg … one of the few destinations in Australia where the sun sets over the water! 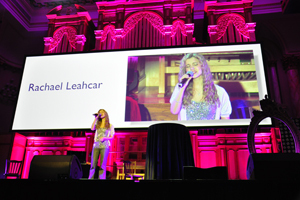 Adelaide Town Hall is steeped in tradition and ornate glamour and is highly conducive to creative audio visual effects and impactful theming. Corporate Gala Events could be welcomed by Adelaide visionary Lord Mayor and then experience dinner in the Grand Ballroom which is complete with a 100 year old pipe organ. 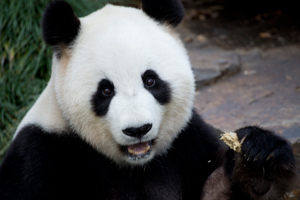 Adelaide Zoo is unique in the Southern Hemisphere in that it is home to a pair of Giant Panda’s … Wang Wang and Funi! Using a new custom built event space, you could include these famous residents as part of a cocktail event or special event.